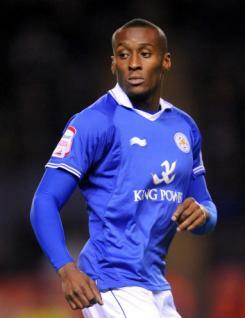 Lloyd Dyer is an energetic winger currently playing for Leicester City. Lloyd came up through the ranks with West Bromwich Albion, but did not manage an extended spell in the first team until the tail end of the 2003-04 season when he injected pace and enthusiasm into Albion?s successful promotion campaign. After several spells out on loan he signed for Millwall in January 2006 before moving on to MK Dons. In the 2008 close season Lloyd signed for the Foxes and had a fine first season with the club, being a near ever-present and contributing 10 goals to City?s League One title effort. He mostly kept his place until February 2011 when he dropped back to the bench.